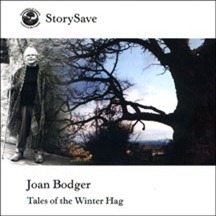 Joan Bodger was born in California in 1923. Because her father was an officer in the U.S. Coast Guard and her mother came from England and returned there for protracted visits, the family moved around a great deal. It was books, stories and talk that became the constants in Joan’s life.Joan attended Pomona College in Claremont, California; she served as a cipher clerk in the army during World War II. In 1948, she took a course on storytelling at Columbia University. Her innate interests validated, she decided that a storyteller was what she really wanted to be.